What is the fate of the diesel car? We recently wrote an article about whether to choose a petrol or a diesel car which you can read here. 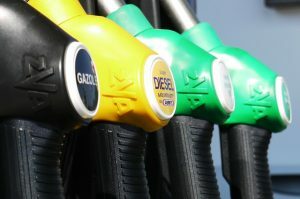 Drivers who tend to put in the miles have traditionally opted for diesel cars. They may have higher upfront costs but fuel for mileage is far better than petrol. But diesels can cause higher emissions if they are not maintained properly. The matter emitted from the incomplete combustion of diesel fuel produces the particles which are harmful to health. In fact, it is reported that 9,400 die a year due to polluted air in London. New MOT rules are coming into force this May which will automatically fail any diesel which has a faulty diesel particulate filter, or has one removed. A diesel particulate filter (DPF) works to remove the soot from the exhaust gas of a diesel engine – the dirty part of the emissions that causes damage to health. Due to the upkeep of DPFs in diesel cars (they become clogged easily and are expensive to replace) some drivers do choose to remove them. This is already a criminal offence punishable with a financial penalty but until the new rules come into force it was always just a visual inspection. The smoke test will also change – slashing the limit so that diesels with dirty emissions will face an immediate fail not meeting the required standards. The new automatic fail is certainly a drive to dissuade people from removing DPFs – and may even be pushing drivers to choose other types of vehicle. So does this mean the end for diesel cars? According to a recent article in Autocar there hasn’t been an effect on the price of diesels. James Dower, the senior editor of Cap HPI’s Black Book. “It seems that consumer and fleet appetite for diesel vehicle has held up,” he says. “There is no waning in demand for diesel vehicles in the new or used market. Values have moved broadly in line with petrol engine equivalents through 2016, with little visible impact from negative headlines through the year” – sourced from Autocar article. So diesel may not have had its day yet, but it certainly looks like it will do in the future. This entry was posted in Uncategorized and tagged change in MOT rules, diesel, diesel cars, diesel particulate filter, DPF, new MOT rules. Bookmark the permalink. Both comments and trackbacks are currently closed.